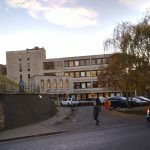 Oxford Hackspace – An independent space in Oxford for the maker community. As of 1st March 2018, we are sad to say that Oxhack has had to close its doors at its city centre location due to the withdrawal of support for our continued operations there by the building owners. Please get in contact if you know of suitable spaces for our community. We are really busy right now dealing with the closure and next space search. Follow our Meetup page to be notified of upcoming pop-up events in the interim, and our Twitter stream for updates as we secure our next premises! 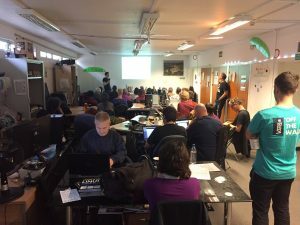 Oxford Hackspace is a welcoming community tools workshop in Oxford city centre, that anyone can join. 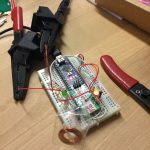 In equal parts inventor’s skunkworks, crafter’s paradise, startup accelerator and social change hub, we also run training workshops and events and operate a prototyping service for local businesses to get new products made. Come work in 3D printing, laser cutting, wood, metal, electronics, sewing, programming, radio, shoemaking, stained glass, social change, or anything else in the company of our lovely, like-minded and skilled community of makers. 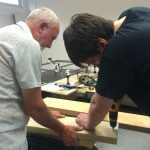 Due to our funding arrangments for the past two years, the Hackspace has been operating a prototyping service serving small businesses, startups and individuals. However, this arrangment has now ended, and Oxhack's prototyping services are on hold for the present. We had employed two technicians to help with delivering this service, and they were on site 6 days a week to help. Our provision will likely change somewhat in our next premises. Please check back regularly or see our About Us page for more information. We are a shared community workshop which aims to support citizen manufacturing, provide skills training, and give Oxford's diverse, creative and talented maker community a home. Wherever your interest lies, this is the space to do it--all ideas are exciting to us! Come introduce yourself to the community on the Mailing List! As of 1 March 2018, sadly we have had to close our doors in our former city centre location. Please see the About Us section for more info on which of our activities are still ongoing, and how to keep tabs on updates. You can continue to reach us on 07708 931042 in the interim.